Thank you so much, Marga. 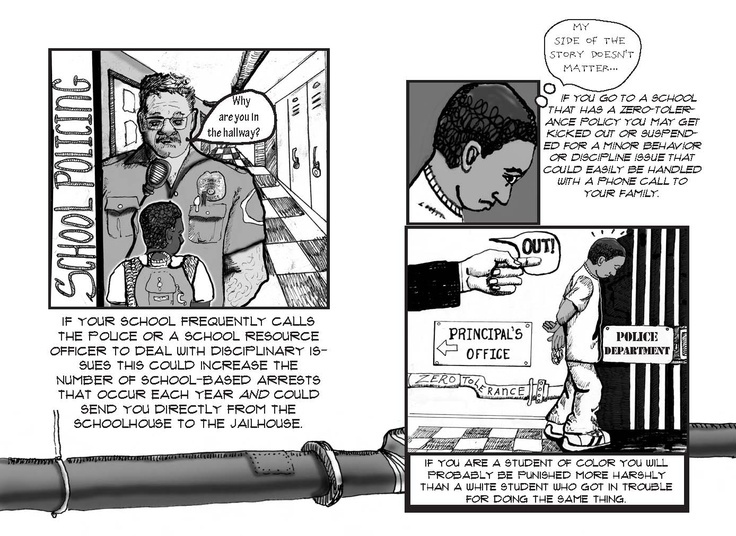 This is such a dangerous blending of roles on the officers’ parts and on the part of the school. Yes, children need to behave appropriately as “scholars,” but if they feel that their poor behavior will be evaulated and punished as if they are in a police setting, how can they trust their teachers and have the open minds and open hearts necessary to learn from them? You are inspiring me to call the office about a recent occurrence with my younger daughter–some boys were roughhousing in the hall, and she ended up being banged against a door as she tried to pass by them, which drew blood on her arm and ended up in a visit to the office. She and her friends (acting as witnesses) were asked to pick out pictures of some boys from the yearbook in an effort to identify the boys who were roughhousing. What happened to those boys, I wonder? I was curious about it at the time, but I am embarrassed to say that I didn’t call to follow up. For some reason, I thought that these officers were only at the high school. 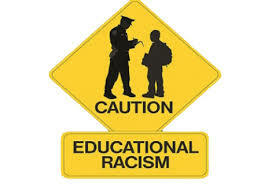 San Leandro Schools Secondary School Reform Needs More Imput Sad Lessons on Racism, Surveillance and Police Intimidation at School Board Committee Meeting.